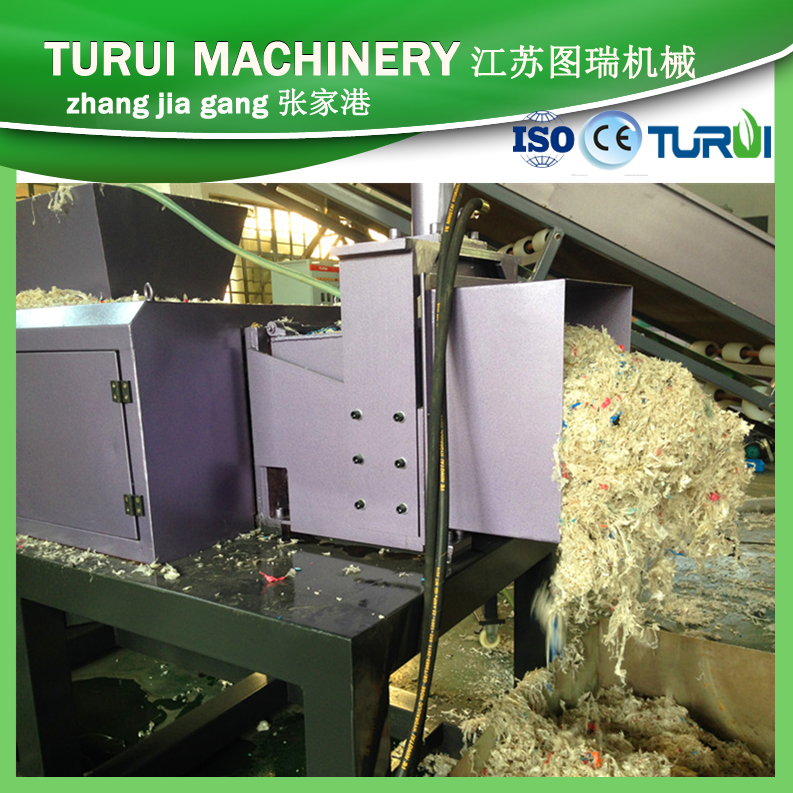 c)This machine is especially for plastic film, plastic bags, woven bags, Jumbo bags. Solve the drying problem in the past. d) Instead of the dewatering machine,and hot blow dryer in the recycling line. ALSO With axle, the axle is used to break the film up after squeezing. 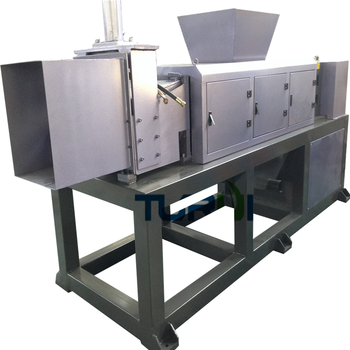 Processes 500 kg to 1500 kg per hour proportional to the system capacity. 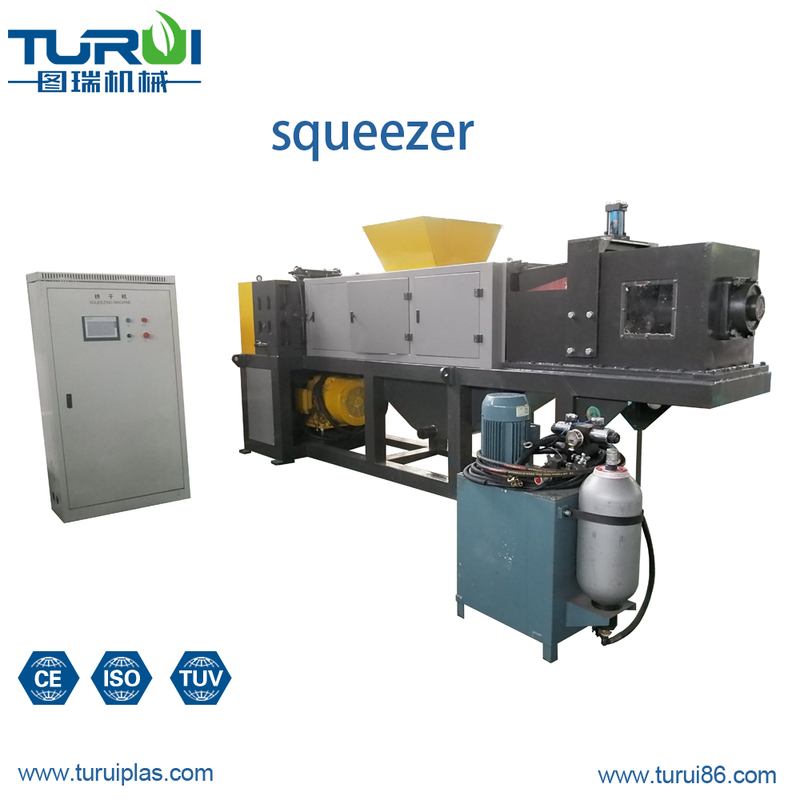 Extruder type reducer is used depending on the system capacity. 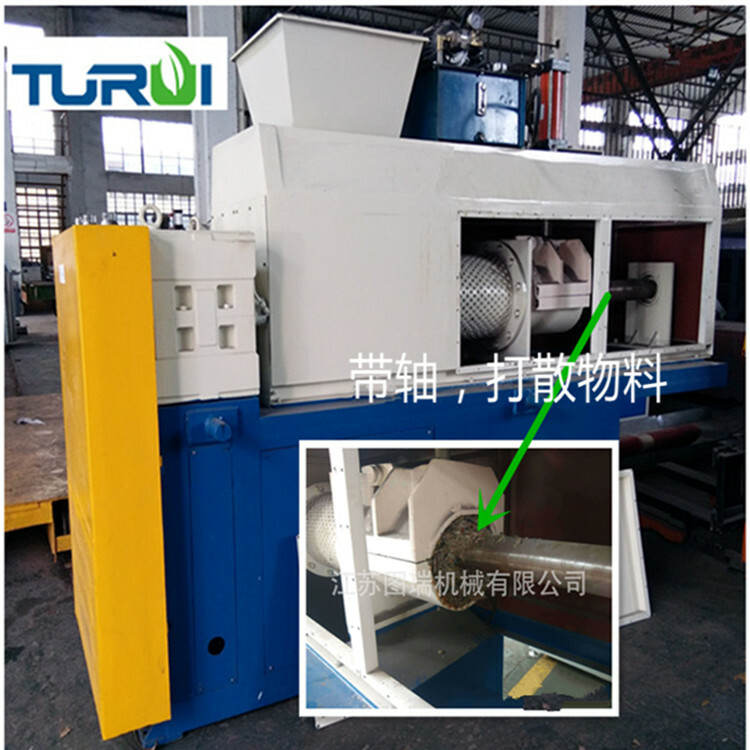 By transferring the dirty material to the squeezing machine after the washing phase the humidity of the material is minimized via the squeezing method and therefore energy comsumption for the second phase at the agglomeration machine is minimized. Made of heavy duty steel and sheets completely by gas welding manufacture. The squeezing machine is enviromentally protected with protection panels in order to prevent any danger arising around the machine for a number of reasons. Our machines have TSE, Warranty Certificate,After Sales Compliance Certificate and CE certificate. a)This machine is our new designed machine, made by the advanced Italian techniques. 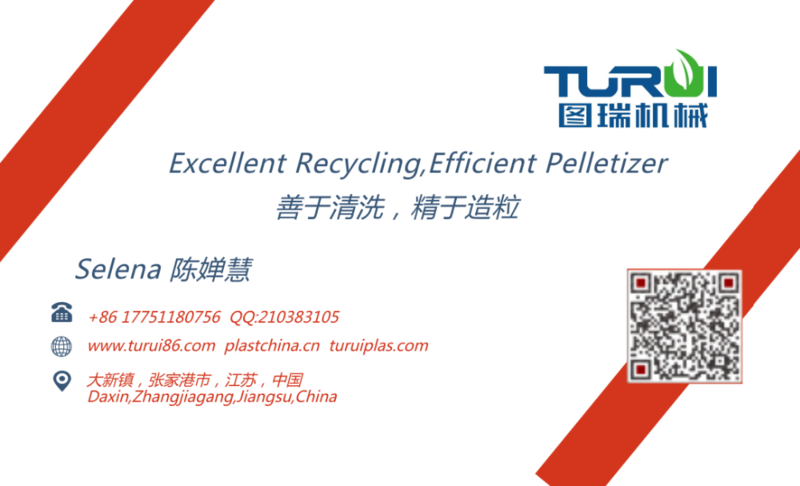 d) It will be used Instead of the dewatering machine, hot blower in the recycling line. 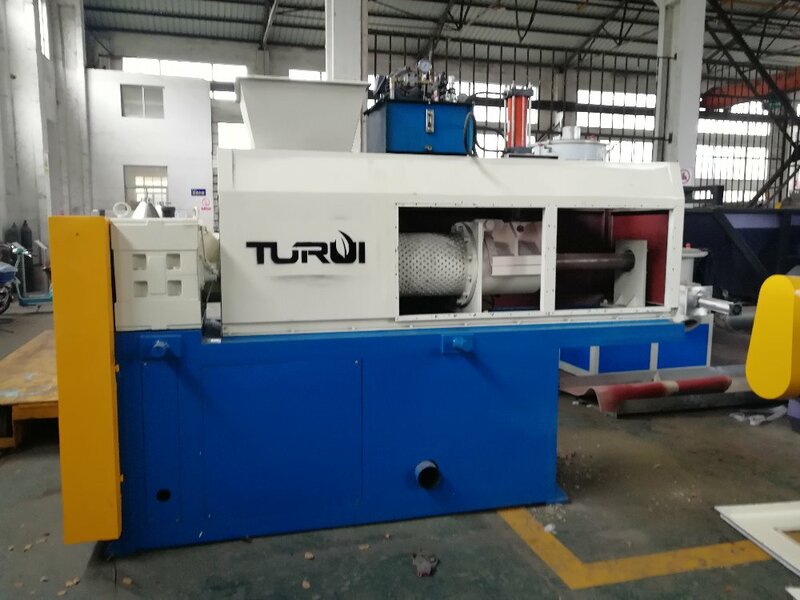 TURUI machinery is located in Zhangjiagang city,which is the industrial centre of plastic machines.We have an young and experienced team, engineers have achieved master,or bachelor's degree. With more than 10 Years production and design expensice. Quality products with best price,full heart service is our guarantee. Based in middle scale of production,we would like to listen to your any tiny request, give our suggestions, discuss with you any possible details. we are able to offer more competitive price to you! Welcome to conact us with plastic squeezer !